Drawing blood and Platelet Rich Fibrin for use in dental surgery. 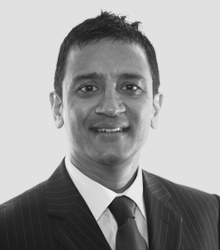 Dr Patel is a principal of Chrysalis dental practice in Watford and Bedford. Before any major dental work, your dentist should go though the procedure with you to ensure you have understood its risks. Here a example for what your dentist should give you before a Platelet Rich Fibrin for use in dental surgery. Dr Minesh Patel has recommended the use of Platelet Rich Fibrin (PRF) to enhance postoperative healing. PRF is a component of my own blood. Blood contains platelets, which contain growth factors that help stimulate soft tissue healing. The PRF procedure was invented by Joseph Choukroun MD of France in 2001.I will have several vials of my own blood drawn. My blood will be placed in a centrifuge to concentrate the platelets. This will activate the platelets (make them release their growth factors).The blood used is my own. All blood drawing materials, needles, and all the centrifuge processing containers, are single use and are disposed in our medical waste container after each patient. Each PRF procedure uses it’s own sterile materials and supplies. I understand the nature and purpose of the PRFprocedure. I understand that there may be risks and complications including swelling, bruising, pain, bleeding, infection, altered sensation usually numbness around the site.I also understand that there may be adverse or allergic reactions to the medication is all materials used during the procedure.I understand that there is no method to predict accurately the gum and bone healing capabilities in each patient following the placement of a bone graft. And that the bone in his healing process remodels and there is no method to predict final volume of bone plus additional grafting may be necessary. It has been explained to me that in rare circumstances the PRF graft may fail and must be removed. No assurance or guarantees as to the outcome of the result of treatment or surgery can be made.I understand that smoking or high blood sugar diabetes may affect gun healing and may limit the success of the PRF grfat I agreed to follow my doctors homecare instructions. I agree to report to my doctor for regular examination as instructed.To my knowledge I have given an accurate report of my health history and reported any unusual reaction to drugs,anaesthetics, food, insect bites, pollen or dust, any blood or body diseases, come or skin reactions, abnormal bleeding, or any other conditions related to my health.I request and authorise medical or dental services to me, including bone graft and other surgery.I fully understand that during and following the contemplated procedure, surgery, or treatment, conditions may become apparent which warrant in the judgement of the doctor, additional or alternative treatment pertinent to the success of comprehensive treatment. I also approve of modifications in design, materials or care, if this is felt that it is in my best interest, including the decision not to proceed with the bone graft.I have reviewed the above information, and have had the opportunity to have any questions or concerns addressed. Based on the information presented to me regarding my diagnosis, the proposed treatment, the treatment alternatives, and the associated risks and complications of such treatment,I request that you perform the plan surgical treatment. It is essential that the surgical patient understand why his/her surgical procedure has been recommended, how it is performed and the major risks and complications that can accompany the procedure. Deficiency of Gum Tissue around the implant/tooth. I have been informed of possible alternative forms of treatment (if any), including:Doing nothing but hygiene or donor skin grafting. The surgical procedure planned to treat the above condition has been explained to me, and I understand the nature of the treatment to be Free-Gingival Graft for Implant(s) under anesthesia. 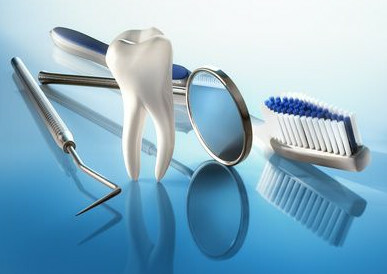 The reason it has been recommended (the diagnosis) is the gum overlying the area of my implant is deficient or too thin. How the procedure is performed: Sometimes the gum is too thin or deficient in the area of the implant(s)to provide healthy tissue around the implants. In such cases, firm, thick gum tissue from the palate can be grafted into the area of the implants. An incision is made through the gum on the palate and a piece taken to transplant to the area of the implants. The raw area created by removal of the palatal tissue is usually covered with a splint, which is a temporary plastic plate similar to an orthodontic retainer. The gum tissue from the palate is stitched in place in the area of the implants. b. The graft will be placed around the implant(s) in the tooth area. 6. We have discussed the major risks, complications and side effects that may be associated with this procedure. a. A few days of swelling and discomfort, which may require that you stay at home before you resume your normal activities. infection may require additional treatment. d. Injury to the nerves that provide the feeling to the tissues at the site where the graft wastaken. This can result in a tingling sensation, numbness, pain or other sensations of the tissues of the palate. The sensations may persist for weeks, months and can occasionally be permanent. f. A loss of the gum tissue in the site where the graft was taken (soft tissue “slough”) can occasionally occur. In such cases, healing of the area may be prolonged and require maintenance of a soft diet for an extended period. g. Patients can sometimes develop allergic reactions to one of the medications or other materials used in their treatment. 7. Sometimes during the course of treatment unforeseen conditions may occur that will require change be made in the treatment . 8. I authorise Dr Minesh Patel his staff to use their professional judgement to modify the treatment as necessary and perform any additional procedure that may be required. I give my consent for this free-gingival grafting procedure, and am aware that no guarantee can be made as to the outcome.